It could be that the latest Scottish Tourism figures release could just be the cleanser that was required. Ahead of the election in Scotland it may stop the false political claims about the resilience and exaggerated strength of the tourism and hospitality sector and put to bed the claimed positive benefits of a disastrous Homecoming the year before. In short the figures tell us - and by us that is almost everyone involved in the tourism sector - that things are extremely difficult just now, that 2010 was not a boom year and that whilst the government may say tourism is our rock the reality at business level is that occupancy and rates have been under incredible pressure and demand has been falling. That is not intended to be a pessimistic message. Far from it. The counter however is that overplaying the resilience of the tourism market for PR spin does no-one any good other than the politicians. Businesses can now clearly see that we are all in the same boat. How many times have we spoken to tourism businesses across Scotland who think that the rest of the country is doing well and they therefore must be doing something wrong because they were down on the previous year? Tourism is resilient and Scottish tourism operators across the sector will enable long term growth by their creativity and service standards but let's hope that we can now recognise where we are, stop banging on about useless statistics and build from a realistic position. TOURISM businesses in Dumfries and Galloway are being encouraged to work together and learn about local events taking place. A series of region-wide roadshows have been organised by Destination Dumfries and Galloway (DD&G) in Dumfries, Thornhill, Gretna, Gatehouse of Fleet and Stranraer. Chairwoman of DD&G Wilma Finlay, who is also the managing director of Cream o’ Galloway, said: “Destination Dumfries and Galloway has been moving apace in order to bring together the energy and enthusiasm of the region’s tourism businesses to influence the public sector in how best to market our fantastic region. “We also want to hear from tourism businesses about the training and development opportunities that would be most beneficial to them so that we can organise events at the most appropriate time of year and at an affordable price. The roadshows will provide a platform for tourism businesses to share their burning issues in a discussion forum and to network with other providers. Dumfries and Galloway Council, LEADER, VisitScotland, Scottish Enterprise, DGArts, the Mountain Bike Business Network are some of the businesses who have already agreed to take part. “This will be an excellent opportunity for all tourism businesses to come together to learn about local strategies and activities in the area. Businesses can learn about new opportunities such as grants schemes for small businesses, how to be included in visitor guides as well as training and marketing techniques. Councillor Roger Grant, chair of the council planning, housing and environment committee, added: “The council is keen to work with and support businesses in the region. “There are bound to be common problems and ideas to share at the roadshows and I hope that useful solutions will also emerge. “When business people meet, new opportunities can come to light. 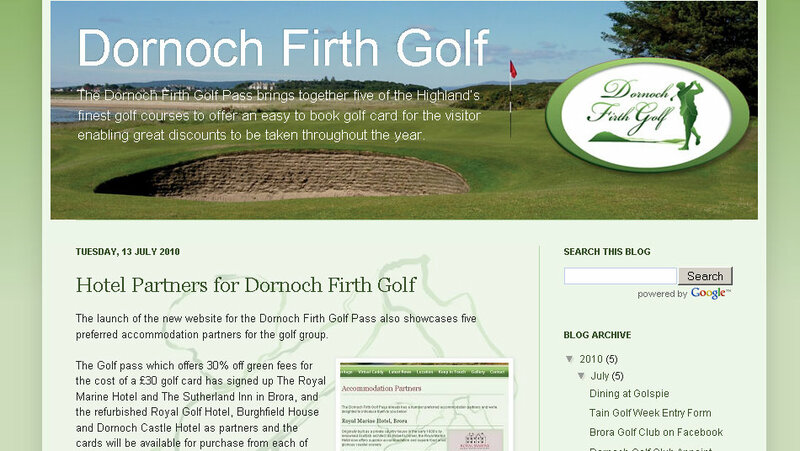 Golf Tourism Scotland are inviting bookings for their February Forms. The theme for this year's events is market intelligence and how to use it to get ahead. For instance, what is good information, how can it help businesses make better decisions and how can it be used to improve the bottom line? As well as three key-note presentations, the seminars will also include Q&A sessions, creative innovation workshops and networking buffet lunches. 22nd February at Nairn Golf Club in The Highlands. Interesting juxtaposition of Words and Phrases in a Scotsman article. "breakneck speed" and "SGU" were used in the same sentence. According to The Ayrshire Post, Mike Cantlay, VisitScotland chair has been playing up the opportunities for Ayrshire in a recent visit to the area or interview with the paper and yet again another statistic appears in the press copy. "Dr Mike Cantlay, chairman of VisitScotland, insists Ayrshire is a jewel in the nation’s crown. 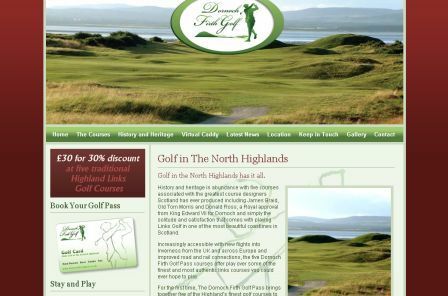 And he believes more can be made of beauty spots like stunning golf courses and the Isle of Arran. Dr Cantlay said: “People come from around the world to see what Ayrshire has to offer and you should rightly be proud of what you have. But it’s ironically the people of Scotland who don’t know what they have under their own noses." If you've been reading any of the blog posts on Tourism Matters you'll know that there's a theme rallying against this incessant use of tourism statistics which fill VisitScotland press releases - many of them meaningless and irrelevant to the article published. “A startling statistic is that 40 per cent of Scots have never had their main holiday in Scotland." Startling? Only if we're saying that Scots having a main holiday in Scotland is a key target market. The secondary, tertiary or just regular short break market is a much more sell-able product to Scots surely than trying to make main holidays the object of new business development? The short break UK market has always been the more attractive and trying to convert this to fourteen day trips is surely not a key focus of VisitScotland's strategy? Not sure what the question asked was, what the definition of main holiday was nor what the sample size was but I'm surprised that 60% have taken a "main" holiday in Scotland! There was however no mention of lost inbound flights through Prestwick Airport and how that will impact on the local hospitality business. But Dr Cantlay is under no illusions that local authority budget cuts could mean slashed investment for tourism. The article finished with Dr Cantlay saying, “I have arranged to meet with the three Ayrshire councils so we can discuss how to make the most of tourism in this area." Therein lies the problem; the meeting is with the public sector not the private, there are three councils and it's yet more discussions. Hmmmmm.